On some wet weekend afternoons or during the evening after school, my Mum, Betty Monk, when asked would get one of her old photo albums out of her cupboard and browse through it with us. Her early holiday photos were a favourite. Each page of the album had a selection of clearly labelled photographs. She would tell us who was in them and a little bit about them. August 1936 was the first visit that my Mum made to Clacton. Aged 6 she came with her parents, my grandparents for a holiday by the sea. They had been quite fortunate as this was not their first holiday by the sea away from their usual environment of East London. They came for the popular attractions of the beach, the pleasure steamer, the circus and the pier; spending time on the beach next to the pier in front of the pavilion. 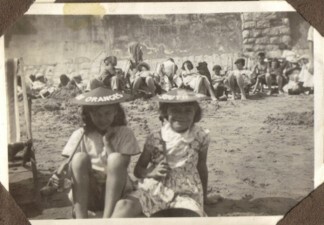 My Mum’s main entertainment on the beach included swimming in the sea and playing with friends. Whilst the adults sat in deckchairs chatting with each other. 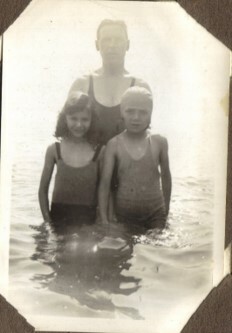 Swimming in the sea was not confined to the youngest: my Grandad also used to go into the sea. 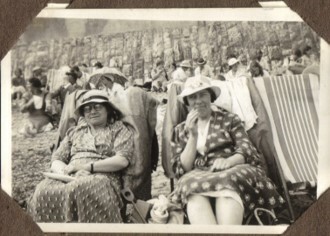 The beach was crowded, very crowded by today’s standards with densely packed deckchairs across the beach and from the wall to the water. 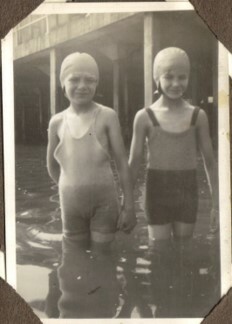 My Grandad, John Levesque, sometimes would go swimming in the sea in a fine one piece bathing costume, fashionable at the time. On other occasions he would paddle with the trouser legs of his three piece suit rolled up to his knees. Nor was going in the sea confined to people. 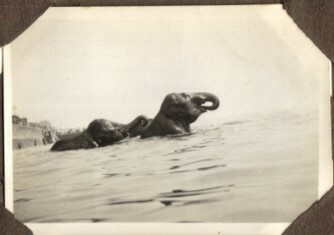 One of the more memorable events of the holiday was watching the elephants in the sea. 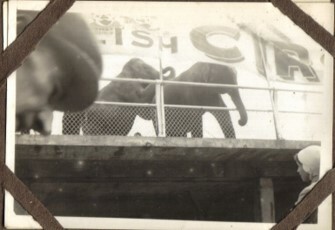 The town had a circus as one of the attractions for the visitors in the summer. 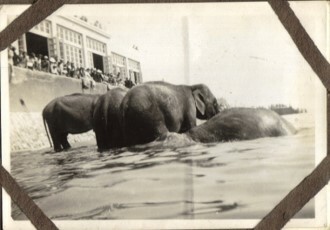 As part of the publicity, the circus’s elephants were taken down to the beach and washed in the sea. Elephants were not a familiar sight for my Mum. This was at least 30 years before she owned a television. Foreign travel was out of the question so they could only be found as pictures in books or as exhibits in a zoo or circus. It was a rare event for her to see an elephant. They were brought down to the beach at high tide. The usual crowd present near the pier became even denser, people climbed up to get a better view. She came to watch the elephants with her parents but got caught up in the excitement and disappeared in the crowd. A parent’s worst nightmare! My grandparents asked people near them. They re-traced their steps. A general search took place. Totally unaware of the alarm that her disappearance had caused and totally engrossed in the elephants, she had followed them back to their base at the circus, which is where she was found! She was totally unaware of the commotion her disappearance had caused. All she wanted to do was to see where the elephants slept.